Often referred to as “The Cradle of Alpine Skiing”, the picturesque mountain village of St. Anton am Arlberg draws huge numbers of outdoor-loving visitors every year. Be it mountaineers in the summer or winter sports fans in the cold season – St Anton offers a huge variety of activities for young and old. Despite being an internationally renowned venue, the village has not lost its traditional charm and hospitality. Tourism is St Anton’s main economical factor. Offering around 10,000 guest beds for about a million overnight stays every winter, the town has clearly set its priority towards winter tourism. St. Anton is considered a winter mecca by many, known worldwide, especially, for what it offers to advanced and expert skiers. It is also equally known for its very vibrant after-ski. 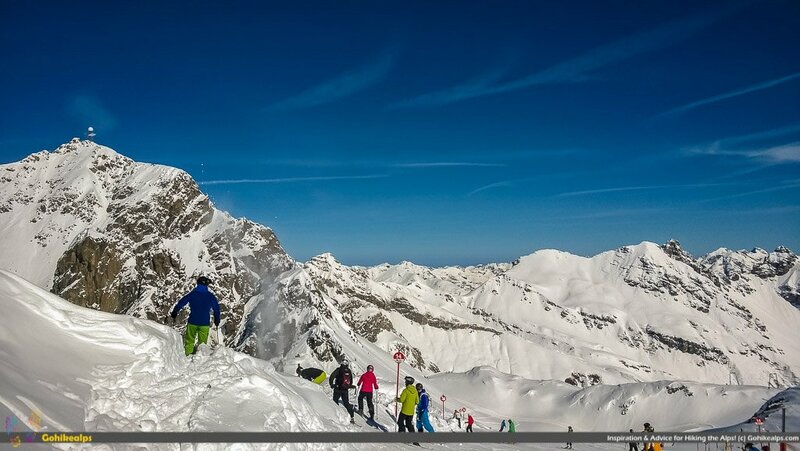 In winter, St. Anton is busy and packed. In fact, according to Statistics Austria, in winter it’s the 6th most visited town in Austria with almost a million nights spent – that means it is ranked right after Salzburg, the country’s fourth biggest city! St. Anton’s winter sports reputation mainly comes from Alpine Skiing. 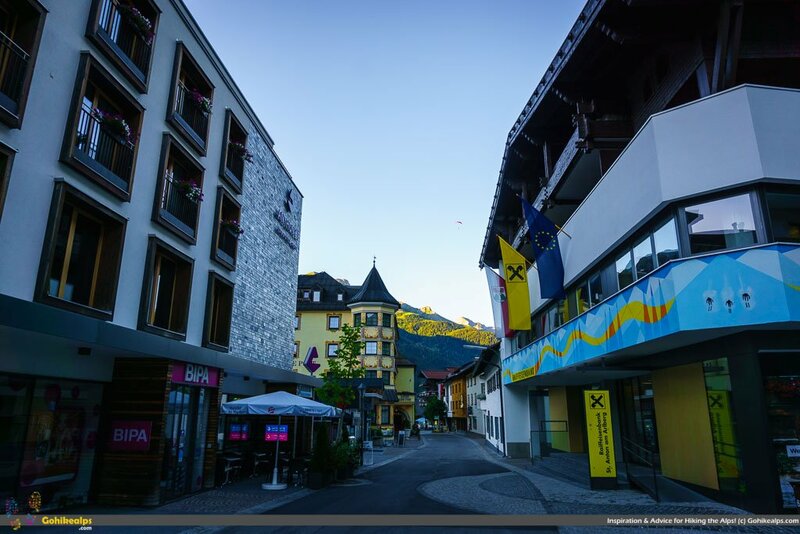 Having held a great number of FIS World Cup events, the small commune with a population of no more than about 2350 people has had the great honor of hosting the prestigious Alpine World Ski Championships in 2001. Especially since then, hotels and facilities have been modernized and are setting high tourism standards. During summer the town has a completely different character. It is peaceful and quiet – and the statistics prove it. In summer only about 160 thousand nights are spent here which evolves St. Anton into a whole new place. Since the 1990s, the tourism industry has increasingly focused on establishing summer activities, too, including construction of a public swimming pool with a very modern wellness center, establishment of more than 100 marked hiking and climbing trails as well as mountain biking tracks. Mountain lifts are in activity all year-long making sure that everyone can enjoy the incredible views on top of St. Anton’s surrounding mountains – even in summer! There’s also a small 9-hole golf course right in town. I won’t even pretend and say it would compete with any full-scale 18-hole experience, but I will say it is a nice distraction and fun! St Anton is easily accessible for visitors arriving by plane. The closest airport is Innsbruck, which is about 100km away. Munich airport, the far bigger one, lies within a driving distance of 225km and, thus, about 3 hours by car or 4 hours by train. If you’re travelling from overseas, check out my comments about Munich airport. Busy Winters + Slow Summers = Great Deals! Due to the busy winters, there is a lot of overcapacity in the summer. You can get very good deals on some very nice hotels. Last time there, I stayed in Anthony’s and I can highly recommend it. The price I paid for a newly renovated, very nice room was probably about 1/3 of what it would have cost in the winter. While it is best known for the exceptional skiing and after-ski, St. Anton is also an excellent base for hiking. It seems to me that it is underrated for summer activities and there’s no good reason: The infrastructure is excellent, it is easy to reach and has enough hiking options to satisfy all levels and ambitions. The region itself covers a wide range of different hiking trails from beginner’s to experienced levels. The most impressive mountains and summits including Kapall, Galzig, Valluga and Rendl are accessible and connected by more than 300 kilometers of tracks. Furthermore, huts and restaurants on every route provide you with accommodation and great choices of traditional Austrian dishes. This is an easy trek suitable for families with kids. It is about 26 kilometers long with a walking time of roughly 8 hours. For an experienced mountaineer this Tour is doable in one day, the total ascent being only 630 meters, or 2070 feet. This is a rather unknown and less crowded trail definitely worth mentioning! However, if you’re planning to spend any nights at the huts, I recommend reserving well beforehand. A moderate level 11 km hike (one way!) that takes about 4½ hours. The ascent is 1150 meters (almost 3800 ft.) – a considerable climb. The trail starts right in St. Anton at an altitude of 1,305m above sea, close to the ski lifts on the southern side of the town. Once you leave the ski area behind, you will be surrounded by exclusively alpine terrain, alpine flowers and – with a bit of luck – all kinds of wildlife. The Trail is easy to find and to follow as there are signs all along the way. Once you reach the barrier lake Kartellboden keep following a rather smaller walking track on the left side of the lake. It will take you on a wonderful journey framed by glaciers, steeply rising cliffs and 3000 m high summits, such as Faselfadspitz, Kuchenspitze and Seeköpfe. When you finally arrive at the Darmstädter Hütte at 2384m (10775 ft.) above sea level, I recommend trying out the variety of dumplings they offer while enjoying the stunning views. If you plan on spending your night here, make a reservation in advance! Leutkircher Hütte is the first stop on the Lechtaler Höhenweg if you start it from St. Anton. You can find more information about the Lechtaler Höhenweg below and a complete write-up on this site right here! The length of this trip is 10km (6.2 miles) and takes about 4 hours, assuming going up by ski lift and walking back down. I recommend taking the lift because walking up through the St. Anton ski area is not very rewarding, will save you about 2 hours and a lot of sweat. Of course, if you are looking for an extra work-out, I recommend the hike up! For pure enjoyment, take the two lifts Gampenbahn and Kappallbahn departing from downtown St. Anton. When reaching the top of Kapallbahn you will be about 2300m (7550 ft.) above sea level. The trail is not exceptionally difficult, but at times it is pretty steep and there are several sections where you don’t want to suffer from vertigo or dizziness. There’s also some rubble to cross. The path down, back to St. Anton, starts right next to the Leutkircher Hütte, through a forest and then through green and flowery fields. Keep an eye out for eagles! These majestic birds are quite present in this specific region. Although the Verwall Höhenweg starts either in St. Christoph or Pettnau am Arlberg, St. Anton is a good base. The full circuit takes 8 days and goes all the way around the Verwall mountains. There’s more information (in German!) on www.verwall.de to give you an idea. From St. Anton I recommend taking a bus to Pettnau. It’s only about 6 kilometers of walking but there’s not much to see in between. Also, note that from Rasthaus Verwall you will need to take a bus back to St. Anton unless you want to walk another 11 kilometers. Once you’re at the Edmund-Graf-Hütte, a true highlight is hiking an extra 2 hours up to Hoher Rifller at 3168 meters (10400 ft.) You’ll get stunning views of the entire Tirol region. Totally worth it in good visibility and you can leave your backpacks at Edmund-Graf-Hut until you return. Hoher Riffler on the Right. Picture taken from the Lechtaler Höhenweg on the other side of the valley. The Lechtaler Höhenweg is a demanding, but hugely rewarding, 8-10 day hike through the Lechtaler Alps. It doesn’t necessarily start at St. Anton, but since it is easy to reach by train, the village is a very practical starting point. The “proper” origins for this trail, Lech or Zurs, are not far from St. Anton either. For some reason, there seems to be very little written about the Lechtaler Höhenweg in English and I don’t understand why. It’s truly awesome! The trek is well covered here on Gohikealps.com, though. The Lechtaler Höhenweg is the westernmost part of the Tyrolean Adlerweg (or Eagle walk) – a 23 stage and 280 km (175 miles) long trek that starts in St. Johann and ends in St. Anton. If you have a month to spare, this is a good way to spend it. More info here. The official St. Anton am Arlberg website has excellent information to get you started, including online maps, hut information etc. Thanks for Subscribing! Download the Checklist now and start planning for your trip! Click here to get the Gohikealps Packing List! We go to St Anton regularly but we always fly to Zurich and then take the train, a beautiful journey alongside two lakes! Thanks for the comment! Somehow I overlooked Zurich when writing this. I’ve gone to St. Anton from Zurich more than once myself. It’s probably also a quicker drive from Zurich than Munich.